In this Queensland Farmers Federation case study, a vegetable farm in Stanthorpe installed variable speed controls and a solar photovoltaic system as part of an irrigation upgrade that saw an energy saving of 25-30 per cent. The farm, near Amiens in Southern Queensland, produces vegetables for supply to supermarkets. 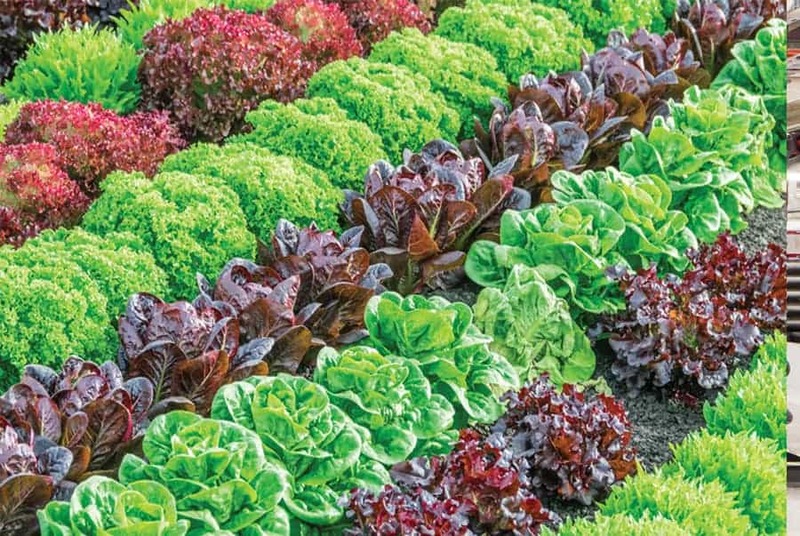 The main crops are iceberg lettuce, wombok, celery, broccoli and silverbeet. The site includes a main packing shed that contains cold rooms, vacuum coolers and ice machines as well as the farm office. All crops grown are quite water-intensive. Pumping is required to supply the large sprinkler irrigation network for most of the growing season from August to May. Of the energy saving opportunities evaluated, nine initiatives were identified with potential energy savings of 11 per cent of the site total and a combined payback period of approximately 1.4 years. 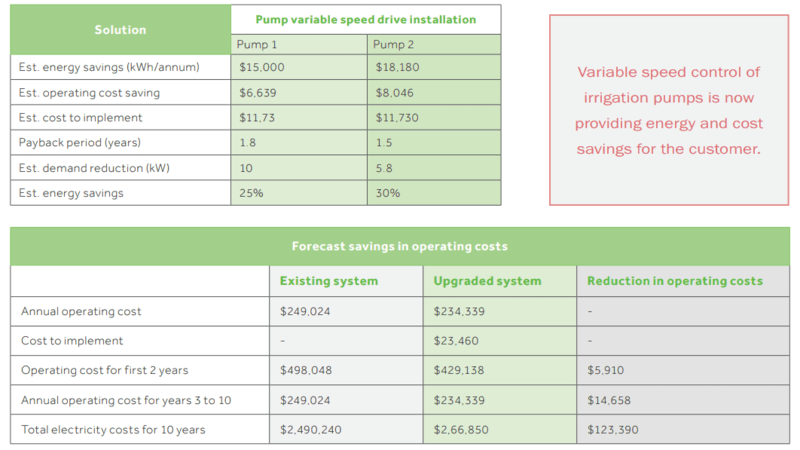 The audit report recommendations included initiatives to install variable speed drives on a 45kW and a 37kW irrigation pump to improve efficiency at lower flow rates, as well as refurbishment of the same pumps to resolve lower than expected efficiency. Other recommendations included installation of a 5kW solar PV system on the main packing shed, remediation of refrigeration coils to address contaminants, implementation of variable speed drives on compressors and upgrade of cold room temperature control system. The energy audit also included a recommendation for an electricity tariff review to realise potential savings of $24,402 p.a. Following the audit report recommendations, the customer proceeded with installation of variable speed drives on two 37kW pumps on the property that were not originally assessed as part of this energy audit but nonetheless provided opportunity for energy savings. 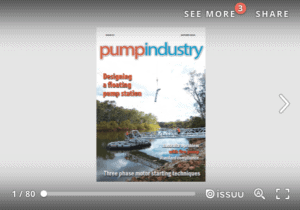 Measurement and verification was completed on these pump systems following implementation and outcomes are shown with associated operating cost savings.